The horn is a visual metaphor for masculinity and pride and ultimately symbolises a king’s crown. In this series of charcoal and acrylic on canvas, Bayu poses the meaning of man and power in the metaphoric symbol of majestic horns and dramatic effects of the human skull. This is certainly one exhibition that’s not for the faint-hearted. Bayu Utomo Radjikin (b. 1969, Tawau, Sabah, Malaysia) graduated from University Technology MARA, Shah Alam (1991) majoring in sculpture. 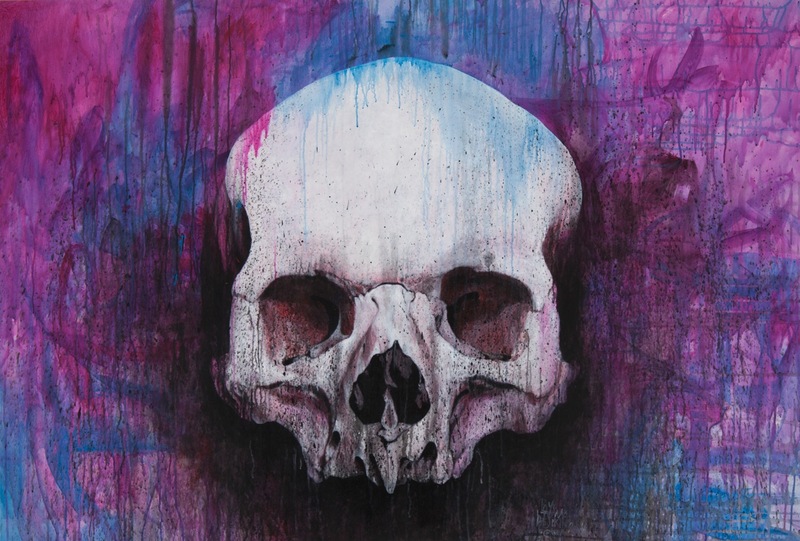 He has held nine solo exhibitions and participated in many group exhibitions. Earlier artworks with expressionistic tendencies later evolved into enigmatic self-portraits and delved the myth of male/hero archetype. Bayu gravitates to the organic, earthbound, and uniquely individual facets of existence. 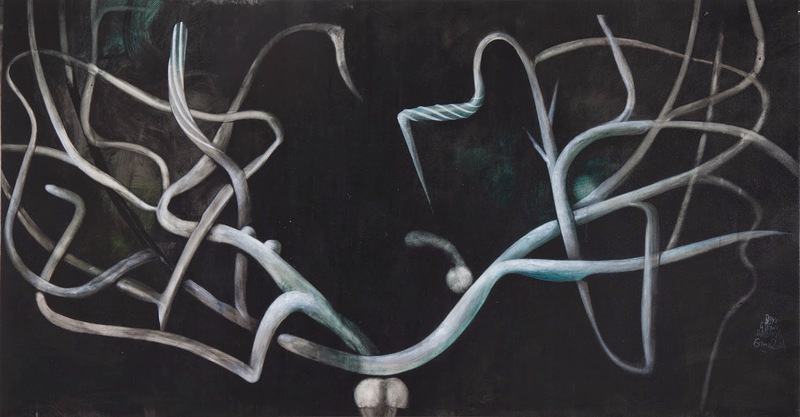 Animal horn, a longstanding visual metaphor for male power and strength, features prominently in most of the works, its twisted presence both beautiful and burdensome. Accordingly, to Bayu the horn is symbolic of a king’s crown, an icon of not only pride and position, but responsibility as well. In this case, the responsibility of being virtuous in life; as horn or bone remain long after the body is destroyed, so do actions resonate beyond mortal life. Currently a temporary resident of Australia, Bayu has been amazed by wide wild landscapes extending to infinity, hence the strong horizontal canvases. Working in both painting and charcoal, with these works Bayu extends his well-known skill at figurative realism into the realm of the surreal. Ada Apa Dengan Tengkorak runs from 10 February to 8 March 2015 at Chan Hampe Galleries, located at Raffles Hotel Arcade #01-21, 328 North Bridge Road. The exhibition is open Tuesday through Sunday from 11am – 7pm. Admission is free. For enquires please call +65 6338 1962. Posted on February 17, 2015 February 21, 2017 by ChalkandRaddyPosted in Visual ArtTagged Bayu Utomo Radjikin, Chalk and Raddy, Chan Hampe Gallery, Malaysia Art.